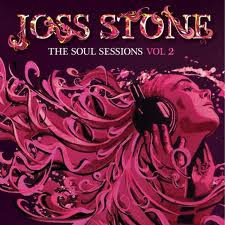 sexto álbum de estudio de la cantante y compositora Inglesa Joss Stone, publicado el 20 de julio 2012...una continuacion del álbum debut de Stone, The Soul Sessions (2003), el álbum consta de versiones de las canciones de los años 1960, 1970 y 1980. 02 - (For God's Sake) Give More Power To The People. 03 - While You're Out Looking For Sugar. 05 - I Don't Wanna Be With Nobody But You. 07 - Stoned Out Of My Mind. 08 - The Love We Had (Stays On My Mind). 09 - The High Road. 11 - Then You Can Tell Me Goodbye. 12 - First Taste Of Hurt. 13 - One Love In My Lifetime. 14 - Nothing Takes The Place Of You. 15 - (1234567) Count The Days.